Gas burner, gas hot plate and gas camping equipment in different sizes and designs up to 60cm in diameter. We have gas burners in different sizes and designs available for immediate delivery from our warehouse. We supply a very wide selection of rather unusual and exceptional gas burners, from small camping gas burners to large paella burners from Spain, right up to various gas burners for the catering trade and restaurant use. 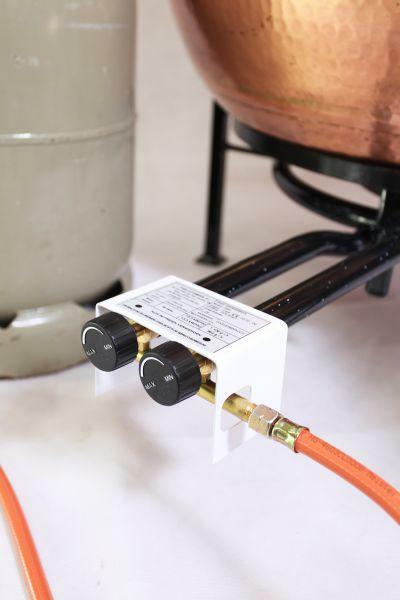 There is sure to be the optimal gas burner for your needs among them. If you cannot find something particular or if you have questions about us or our products, we are always on hand to advise you at +49 (0)6672 91848-0. Of course, if you are ever in Germany, you are most welcome to visit us and inspect and try out our products.